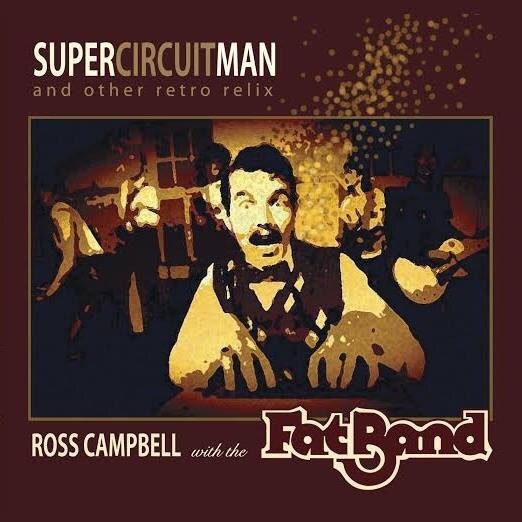 If James Brown, Pink Floyd and The Polyphonic Spree had surrogate sons, they would be Ross Campbell with the Fat Band. Their multi-genre & Funk Rock track “Super Circuit Man” is a clever accumulation of choir-style vocals that build on a fresh funk sound with dynamically precise Rock elements. This is a track that is very difficult to fit into a specific genre. It’s more like a delicious stew, with additives of ingredients, creating something very tasty with plenty to go around. And that could be a good way to describe this song—you won’t go hungry. Ambient guitar solo? Check. Catchy multi-vocalized melodies? Check. Surprises around every corner? Absolutely. This is definitely something you haven’t heard quite yet, even though you can hear some very crucial influences. This however, does not effect their originality or versatility. It captures a brilliance that keeps you paying very close to detail. The production quality is right where it needs to be. While the vocals are more of a chanting-stylized effort, the musicianship wraps itself around the entirety of the song and really lets the foreground stay open to almost any possibility. Something that really gives you a chance to hear the detail for what it really is, and the talent that exceeds your expectations. Best thing to do is to give this one a listen. It’s a relentlessly crafty song that really takes your body and mind for a spin. Give it a listen and see (as well as hear) for yourself.